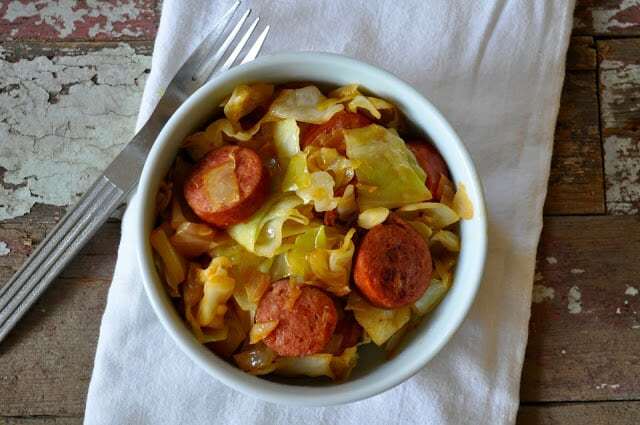 This recipe for Smothered Cabbage with Smoked Sausage was something I was pointed towards a few years ago when I was inundated with a bountiful cabbage harvest, I didn’t invent, but we sure do love it. Plus fried cabbage and sausage makes a quick weeknight meal everyone in our house will happily eat. I love those kinds of meals, don’t you?  I love this time of year, the garden is pumping out the last of its goodness up here in Alaska, the trees are a glorious gold, and there is fresh snow on the mountains that won’t be melting anytime soon. We’ve just got a real good hard frost that finally took down just about everything left standing in the garden, like the peas and the last few pumpkins which had survived early lighter frosts. We’ve got a lot of cabbages, potatoes, and kale coming in soon, maybe even tonight, we’ll see how motivated we are after school lets out. Eating out of the garden is kind of an adventure game too, what can I make with potatoes today, except sub in carrots or cabbage or kale on any given day. 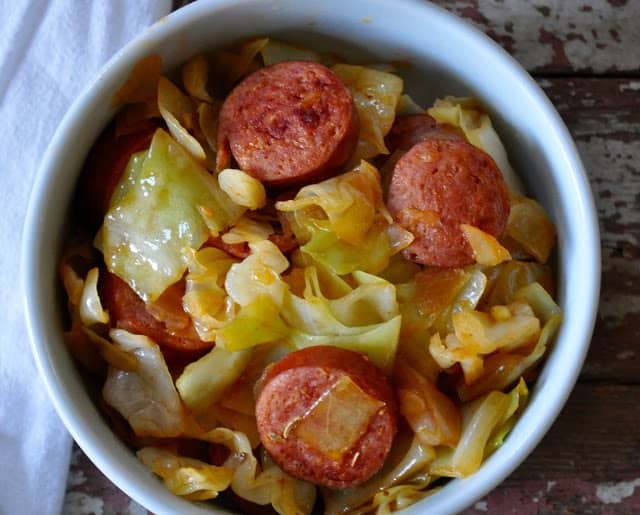 There’s so much you can do with cabbage. Hot dishes like Vegetarian Cabbage Rolls, or Roasted Cabbage with Cheese Sauce, Hot Egg Roll Salad or Apple Cabbage Stuffed Pork Chops. Even cold dishes like Avocado Mango Coleslaw, Apple Cabbage Coleslaw with Bacon and especially Fermented Sauerkraut. But sometimes you just want for something else, something new to you and when Smothered Cabbage was suggested to us it was new to me, but now it’s an old favorite. Maybe you’re looking for something to do with all the cabbage that’s available this time of year? 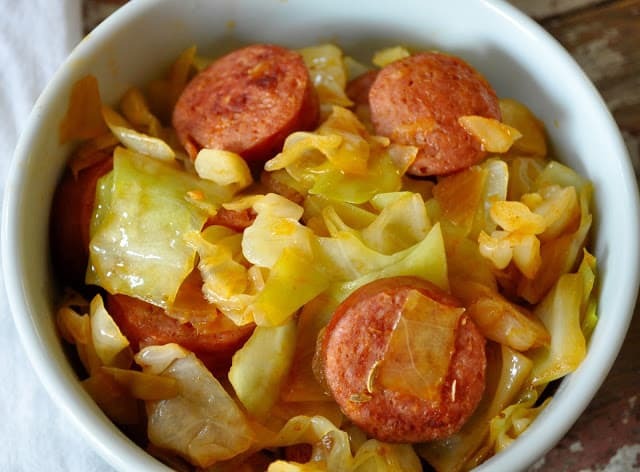 This recipe for Smothered Cabbage was something I was pointed towards a few years ago when I was inundated with a bountiful cabbage harvest, I didn't invent but we sure do love it. 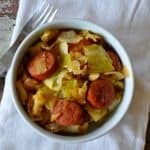 Smothered Cabbage is done when it’s cooked to your liking so if you like your fried cabbage crisp-tender you may only want to cook it for 5 minutes after adding the last cabbage–but if you prefer it really softened and well done you may want to increase the final cook time to 15 minutes. Merhabalar, ne kadar leziz ve iştah açıcı görünüyor. Ellerinize sağlık. Can’t wait to make this one. It looks just like something my husband will absolutely love!